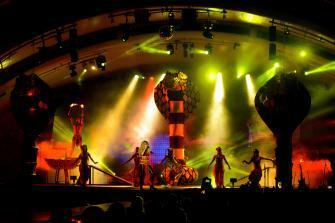 The performance that showcases how groovy the nights at Sandos Playacar can be. 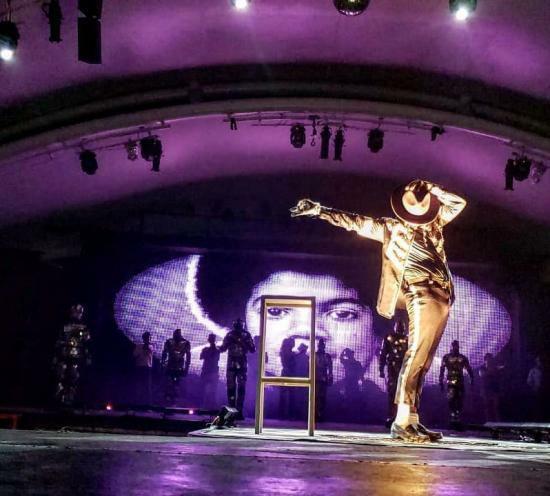 Some weeks ago, Sandos Playacar launched one of the most unique shows ever performed at a resort in Playa del Carmen: Shakira’s Tribute. And believe us when we say: “it is something to behold”. From ”Loca” to “Waka Waka”, we bet you have danced before along to Shakira’s greatest hits, so in this new performance created to to honor her, you’ll probably end singing and dancing through the whole show, while our talented singer takes over the stage! Sandos Playacar’s entertainment crew really did it, and created a performance of the finest quality. Sandos Playacar’s tribute to Shakira remains true to the original singer, delivering dramatic dance moves and catchy tunes from this worldwide known artist, and it’s all mostly thanks to our performer Lucy who’s just might be a clone of Shakira herself, both in voice and looks. 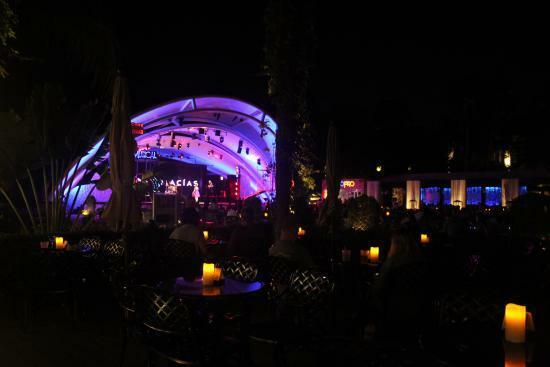 This new night performance takes place at the resort’s main square every Monday at 9:30 pm, where bartenders, waiters will make sure you have everything you need to enjoy the show. 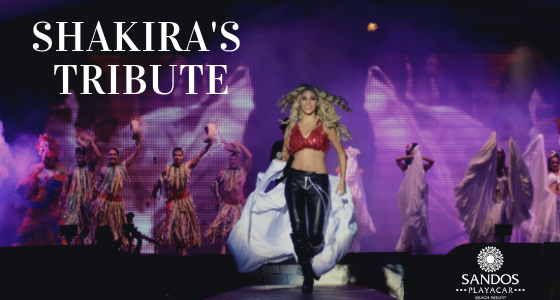 On Monday Shakira’s Tribute is ON but that is not the only night performance we have in store for you. 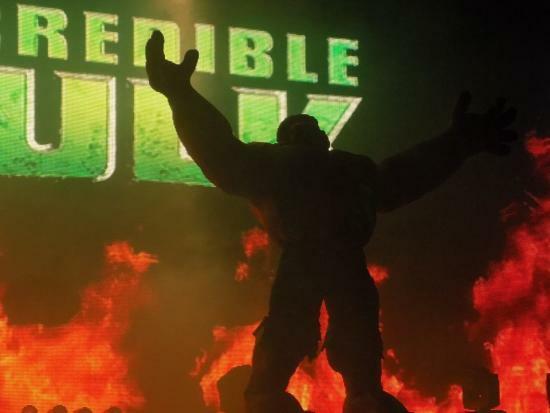 On Tuesdays you can have a blast along with your kids while watching the funniest heroes show ever, Heroes: The Parody. On Wednesdays, a Diva’s night is on: Dream Girls Show is an explosion of talent and famous songs from Celine Dion, Cher, and the latina diva Celia Cruz. Disney’s best characters take the stage on Thursdays, and during this show your kids can actually perform with them on stage! You just need to approach to the Kids Club the day before, and they will give you the instructions on how the little ones can participate in it. The weekend arrives and the fiesta still goes on! On Friday, Mexico is ready to rock and showcase the best of its traditions and representative music on the Mexican Show. Saturday and Sunday is all about paying tribute to Michael Jackson and ACDC (the favorites so far) so stay tuned, come to Sandos and get ready to rock! Every show starts at 9 pm (excluding Shakira’s Tribute on Mondays, which begins at 9:30 pm). Start planning your vacations at Sandos Playacar because as you can see, we got a whole fun-filled package for your perfect all inclusive vacations!